These are perfect for your dessert bar!! This listing is for 24 mini baby bodysuit cookies in a mix of solids, stripes and dots! Dimensions are approx. 2"x2''. Cookies will be heat sealed in a crystal clear cello bag, 4 cookies per bag. These cookies do not contain preservatives. Please keep them in their bags until ready to be served. They will stay fresh in their bags for 2-3 weeks. Extra cookies are $19 per dozen. Contact us to add additional cookies! 36 Mini Moons and Stars Cookies! 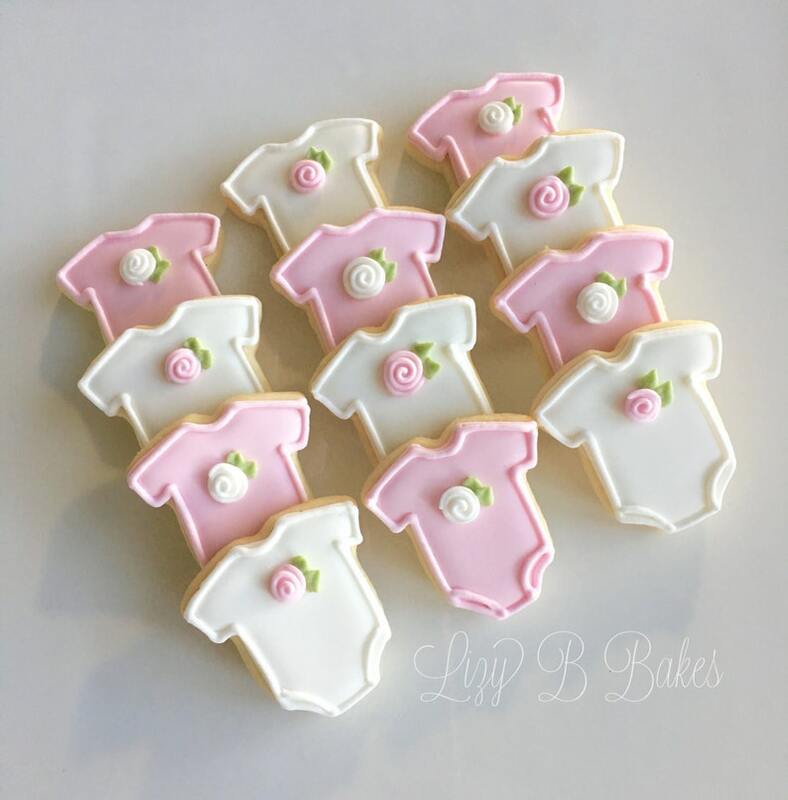 Very pretty cookies, shipped as stated, priced right, and made a hit at the baby shower. Would order from again. Not only were these cookies gorgeous but they tasted good. Very fast shipping. Would do business again. 12 Red Egg Baby Cookies with 24k edible gold leaf! 16 'God Bless' and Dove Cookies!